Hot diggity dog! 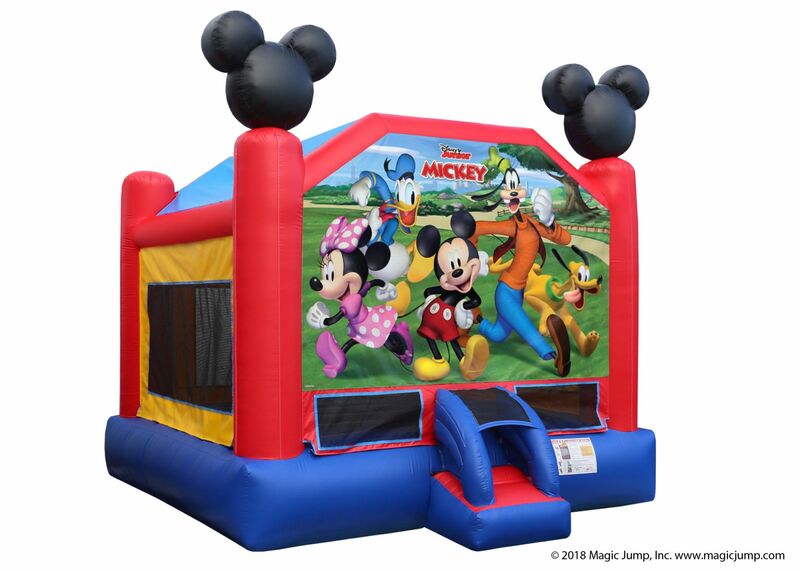 Mickey and his pals, Minnie,Goofey, Pluto and Donald Duck are here to make your party more action packed and fun! 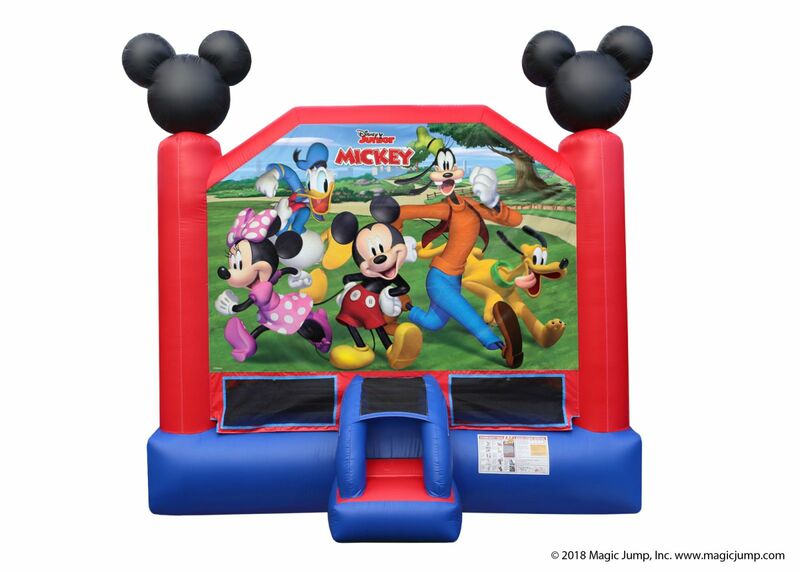 The Mickey and Friends Bouncer is designed with fully licensed digital artwork and the iconic Mickey Mouse ears at the top of the front vertical pillars. 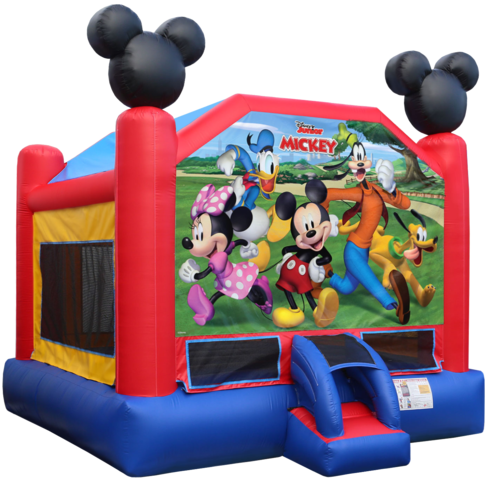 This licensed 15x15 Mickey & Friends has enough space for up to 6 of your best pals to hop skip and bounce to their hearts content! Perfect for any occasion. Additional features includes the safer enter/exit ramp and emergency exit.